Empire Minecraft is currently on version 1.12.2, and the current version of Minecraft is 1.13. Empire Minecraft is yet to update to 1.13. As of July 18, 2018, EMC uses the previous Minecraft version: 1.12.2. 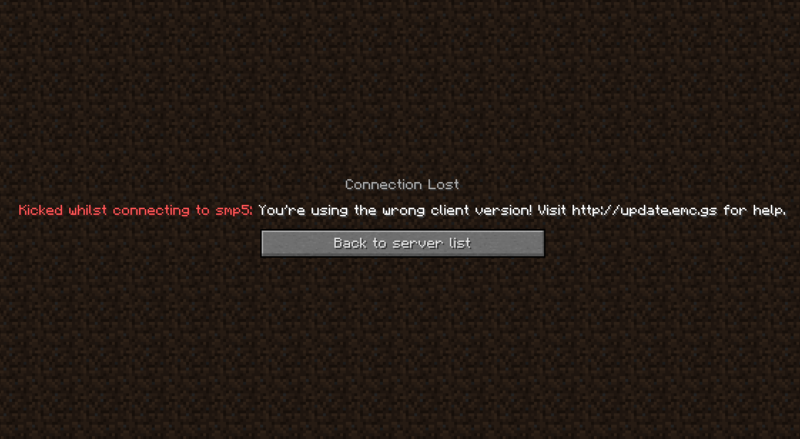 You were redirected to this page because you have tried to connect to an Empire Minecraft server using a Minecraft version update that is newer than what EMC supports. It is also possible that you may be connecting to the server using a version older than what EMC supports, in which case you need to use a newer Minecraft version. 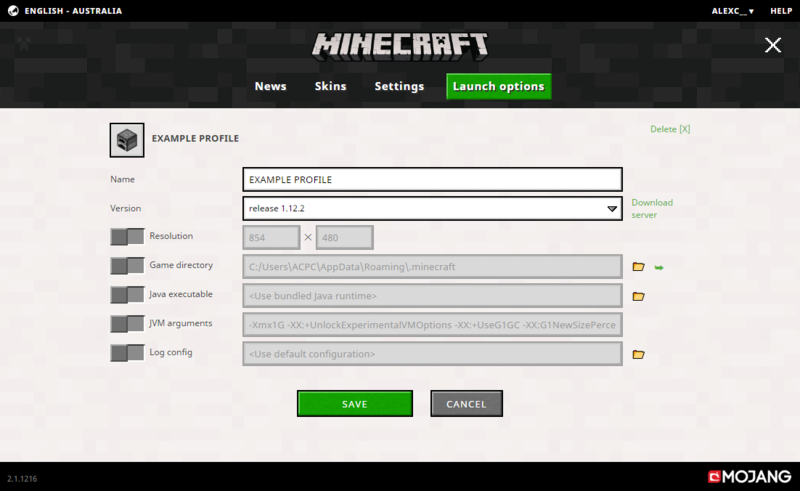 You need to edit your profile in the Minecraft launcher and change the currently selected version if your game is outdated. It is advised that you change this setting so that it uses the latest stable release that is also currently compatible with EMC (which is currently Minecraft version 1.12.2, not 1.13). 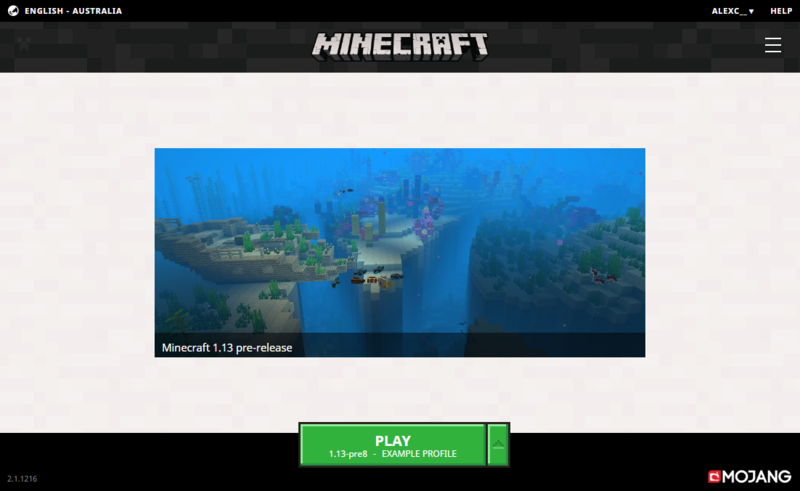 If pictures don't work for you, here is a video on how to change your version of Minecraft using the new Minecraft launcher. The video says to use 1.11.2, but EMC now works with 1.12.2, so that must be used instead when selecting your version in the launcher. 1) Open the Minecraft launcher. Yours will probably look like this. 2) Click the three horizontal lines in a box shape at the top right of the screen, and then hit Launch options from the set of four options that come up. 3) Click the "+ Add new" button, or click the profile you use from the list. You will then see the settings for that profile. 4) Regardless of which you did in the previous step, where it says "version" in the launcher, bring down the drop down box. 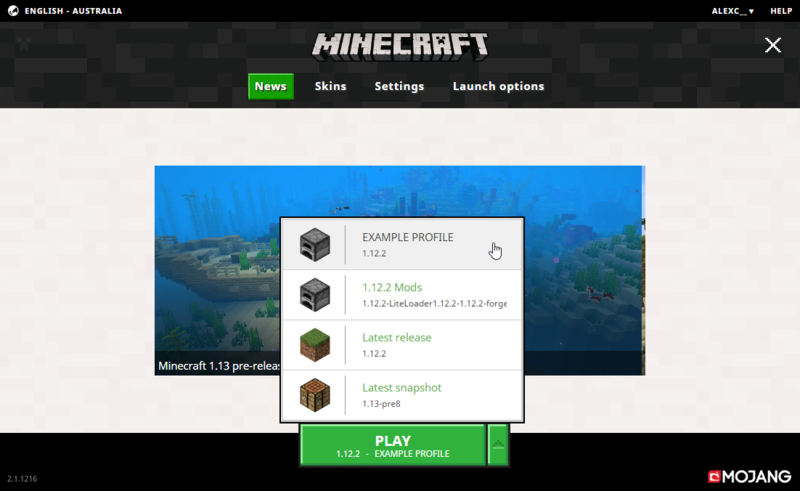 Click where it says release 1.12.2 so that the launcher uses the version Empire Minecraft is currently using, and not 1.13 or a 1.13 snapshot. 5) Press the green save button at the bottom. Go back to the News tab (to the left of the Launch options button). 6) You may select your profile from the drop down menu next to the Play button. 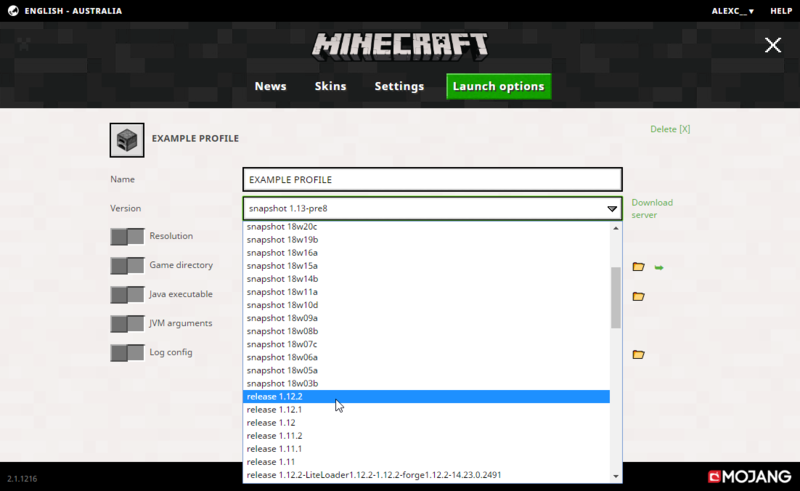 You'll notice that it says "Example Profile" uses 1.12.2 instead of the incompatible 1.13 snapshot now. Hit Play and then you'll be able to connect to EMC. technologygeek, Nickblockmaster and Olaf_C like this.